The original brahmi is an ancient Ayurvedic herb which has been extinct for centuries. According the the Sanskrit texts, this brahmi had the ability to make the mind so powerful and strong in its connection to the light of the soul that it could access any knowledge or wisdom. The name brahmi stems from the Sanskrit term, brahman, which is the totality of life ranging from the furthest stars to our dearest thoughts and feelings. Brahman is the knowledge that the whole expanse of life is nothing other than the play and display of our own inner awareness. When your mind is connected to the deepest level of your own inner intelligence, to the light of the soul, it can know anything. This is how the ancient rishis (seers) were able to explore the laws of nature without laboratory experimentation. Through their clarity of mind, they understood the precise movements of the planets and the subtle chemistry of the plants and trees. Truth is always available, but if the mind is not receptive it will miss it every time. The mind can be compared to the surface of a pond. If the surface is clear and still, it reflects the trees perfectly, but if the surface is turbulent and overactive, only small fractions of the surroundings will be seen. Total wisdom is available deep inside of all of us. No one has more than anyone else. But our access to this wisdom depends on how the brain is functioning. The brain has to be powerful enough to connect with this source of wisdom to be able to use it in practical life. The role of the ancient plant, brahmi, was to nourish the physical and vibrational brain so that it could fully reflect the intelligence of consciousness in thought, speech and action. Unfortunately, this plant is no longer available since the beginning of kali yuga (the age of ignorance) many centuries ago. However, there is a workaround. When you combine two existing herbs, aindri (bacopa monnieri) and mandukaparni (gotu kola), they become nearly as powerful as the original brahmi. Vaidya Mishra’s family lineage of Ayurvedic practitioners has used this combination for centuries. 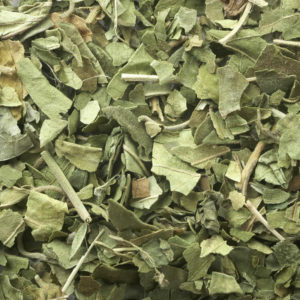 Whenever you see the name brahmi in Vaidya Mishra’s formulations, it refers to the balanced combination of these two herbs, aindri and mandukaparni. This 35 minute audio lecture by Vaidya Mishra that you can download from this page focuses on the first herb, aindri (bacopa monnieri). 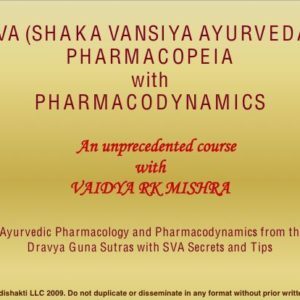 You can also find a second audio lecture by Vaidya Mishra which details the properties of mandukaparni, the second herb used by his family to recreate the effect of brahmi. The name aindri (often pronounced “endri”) comes from the name, Indra, king of the gods, because this plant was one of his favorites. Indra was famous for his love of soma, and aindri has a lot of soma. It grows on the banks of small creeks, where it can have easy access to water, and it has juicy stems and leaves. Another name for aindri is jal brahmi (water brahmi). Aindri is a very bitter herb like neem, so it is sometimes called jal nimbaya (water neem). It is also has an ushna guna (warming quality). The main prabhava (special property) of aindri is medhya (increasing the power of the mind). Aindri does this by enhancing the three basic components of the mind independently, and by improving their interaction with each other. The three components of mind, according to Ayurveda, are dhi (power of learning), driti (power of retention) and smriti (power of recall). Modern research also describes these three factors to be the most fundamental aspects of mental function, and interestingly, modern studies on aindri (bacopa monnieri) show improvements in all three of these areas. According to modern studies, bacopa is a very good neurotransmitter modulator. If the brain needs more serotonin or ACTH, it stimulates the brain to release the neurotransmitters in the needed quantities. The Sanskrit sutras (verses) describe aindri as dipani (good for increasing agni, or metabolic flame). There are many agnis in the body which transform food into various tissues, and which govern different kinds of transformation in the physical and vibrational areas of the body. While the tikta rasa (bitter taste) and ushna guna (warming quality) of aindri do stimulate the agnis in the digestive system and liver, the main agnis referred to here are medhagnis in the brain. There is an agni in the gap between dhi and driti to transform new knowledge into retained knowledge. Another agni works in the gap between driti and smriti to transform retained knowledge into recallable knowledge. And yet another agni works in the gap between smriti and dhi to allow recalled knowledge to form a basis for learning new knowledge. All of these medhagnis are enhanced by the power of the herb, aindri, allowing the brain to function in a balanced and coordinated way so that it can fully reflect the inner wisdom of the light of the soul. When dhi (power of learning), driti (power of retention) and smriti (power of recall) are all functioning optimally, the mind gets fully connected to the light of the gem, the light of consciousness, which contains true knowledge of everything in the universe. Hridya prabhava (good for the heart) is another special property of aindri. It is not the main prabhava (special property) of this herb, like it is for arjuna, but it helps the heart by helping the mind. When the mind is strong, it does not easily come under the grip of the senses, which lead us on a roller coaster ride of emotions. In the presence of a balanced and clear mind, the heart also becomes balanced and blissful. 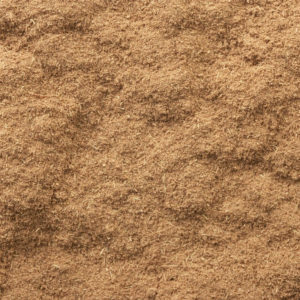 One interesting benefit of aindri is its ability to help the skin (kusthaghni). It does this through several means. The tikta (bitter) taste of aindri stimulates the liver and strengthens the bhutagnis (five flames) in the liver. When the liver is strong, it keeps the blood free of toxins, and this improves complexion. Another way that aindri helps the skin is by binding toxins. If the fresh plant is used, the slimy, juicy pulp is able to effectively bind reactive toxins in the digestive tract and the blood and get them out of the body. Whenever there is a lack of coordination between dhi, driti and smriti, the connection between the mind and the light of the soul becomes weak and the senses start to possess the mind. At the same time, contentment and tolerance begin to wane and the mind starts to find fault with everything. This is called pragyaparad in Sanskrit. The Ayurvedic texts describe it like this: dhi driti smriti bramsa iti pragyaparad (the breakdown of dhi, driti and smriti is called pragyaparad). The combination of being unable to control the senses and being at war with the way things are brings on a desperate state of deep unhappiness–full of guilt, regret and fear. It is not the wild actions of the senses themselves that cause long term health problems, but it is the lack of peace of mind, combined with a high dose of guilt regarding those actions, which causes ill health. Psychoneuroimmunology (PNI) describes a cascade of chemical reactions, including the release of cortisol and other toxins into the bloodstrem when we think in a stressed manner. It is the toxic, chemical by-products of continous negative thought that ultimately affect the skin. Most skin problems are related to autoimmune problems and autoimmune problems, according to Ayurveda, are related to an overload of reactive toxins in the blood, liver and the whole body. By strengthening the mind to overcome pragyaparad, the herb, aindri, helps to remove the original source of autoimmune related skin problems. In this 35 minute audio lecture, you will learn from Vaidya Mishra all about aindri (bacopa monnieri) direct from the Sanskrit verses. You will learn how this important herb is described by the ancient texts to be used for toxin related fever (jwara), psychological problems (unmad), slow digestion (vahni manda), constipation (vibandha), blood problems (asrigruja), cough (kas), toxins (visha), inflammation (shotha), and weakness (daurbalya). You will learn the physical properties of aindri and more about the properties described above. Aindri is usually listed in our products as bacopa. It is also present anywhere you find the name brahmi in Vaidya Mishra’s formulations. Brahmi in our products means the balanced combination of aindri (bacopa) and mandukaparni (gotu kola). Contains only the essence of the herbs with their subtle vibrations. Bypasses the digestive system and liver, which may be weak, to deliver the vibration of these divya aushadhi (divine herbs) directly to the brain. Delivers the combination of aindri and mandukaparni directly to the brain without having to go through the digestive or metabolic system, which are often weak or corrupt in modern society. Is suspended in a lipid-based cream to easily deliver brahmi to the brain, which is a lipid-predominant organ. Allows for slow release of brahmi over several hours through the skin. Uses aindri only, without mandukaparni, when there is a need for this more soma-predominant herb. Delivers the physical properties of the herb for maximum medhya agni vardani effect (improving the power of the brain). Can get corrupted by poor digestion or weak liver, which can cause the divinity of the herbs to be lost and the effectiveness to be minimized. Transdermal absorption of brahmi bypasses the liver and digestive systems, which are often weak. Is an easy way to nourish your brain while you bathe. Has a delightfully subtle aroma. Does not contain any sodium laurel sulfate, or other harsh, chemical foaming agents or preservatives found in most soaps. Delivers the essence of brahmi through the skin to nourish your brain while you bathe. Can be used as a liquid soap, or even as a detergent for washing dishes at the sink. Bypasses a poor digestion or weak liver. Has a stimulating peppermint aroma. Contains both aindri and mandukaparni for the most balanced and powerful effect on the mind. Delivers the physical properties of the herbs, which is sometimes necessary to get the full benefits. Can get corrupted by poor digestion or weak liver, proving it to be ineffective. Provides the essence of the agni-predominant herb, mandukaparni, with minimum heating quality. Is suspended in the cooling nectar of squashes to further balance the herb’s warming effect. 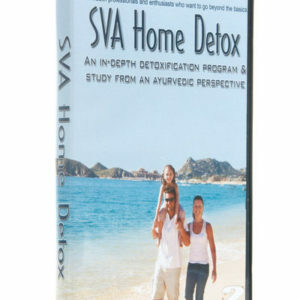 Bypasses the digestive system and liver, saving the divine vibration of the herb from corruption. Delivers the sukshma bhag (subtle essence) and prabhava (special properties) of gotu kola directly to the brain. Gives the full physical properties of aindri (bacopa) for use in herbal water. Can stimulate the liver more than the Herbal Memory Nectar or Transdermal Creams. May get corrupted by weak digestion or liver. Brahmi is the first ingredient of this sesame oil based massage oil. Delivers the lipid soluble fraction of brahmi through the skin directly to the brain. Calms the mind with other herbs and oil, while awakening it with brahmi. Has a delightful, warming aroma. Contain brahmi as a secondary ingredient. Help balance skin and hair by reducing toxins in the blood caused by pragyaparad, as described above. Can get corrupted by poor digestion or weak liver.